Spray-on waterproofing for wet weather clothing Adds water-repellency and revives breathability. 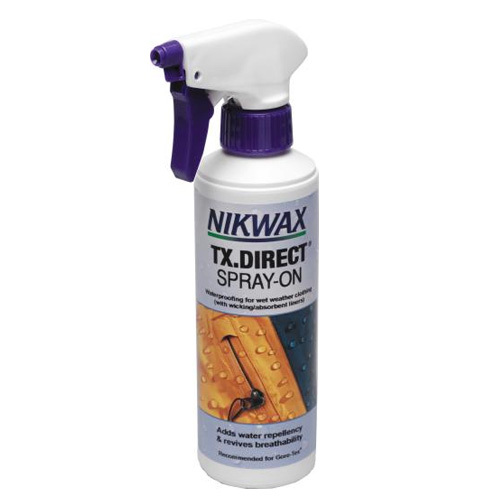 easy and quick to apply, and its highly Durable Water Repellency (DWR) develops on air drying. The need for tumble drying is removed.